In Victoria Hamilton’s “Muffin to Fear,” you know the honeymoon is over when you return home to chaos. That’s what newlyweds Virgil and Merry experience the moment they drive up to Wynter Castle. Apparently, Merry’s friend gave permission for the “Haunt Hunt” TV show crew to film at the family home. Along with this uniquely unplanned honor comes the incredible inconvenience the crew has caused when they take over the place. They are terribly demanding with their endless need to be fed and have their electric cords everywhere. 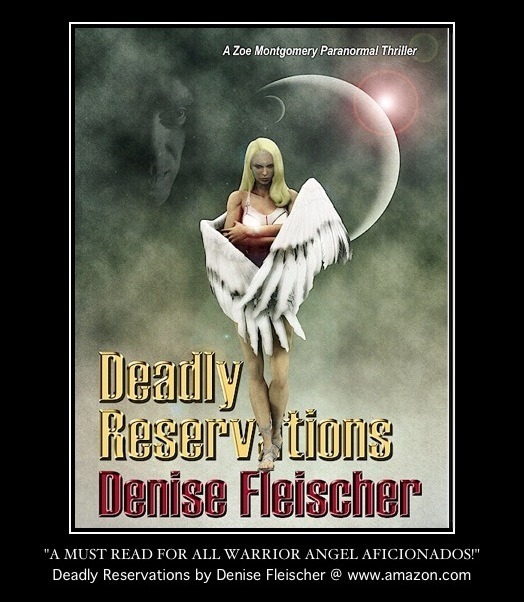 During the routine bickering and hectic rush to prepare the setting, psychics Millicent and Janice state that they witnessed ghosts in military garb near the dining room and out on the lawn. There seems to be a lot more going on with people sneaking around and jealous of each other’s time and talent. So, it’s not a total shocker when two of them stage a prank, involve a third Haunt Hunt crew member, and bam someone’s dead. The rigged prank had turned deadly. While the authorities begin their investigation, Merry begins her own. The crew and their executive director, Todd, are forced to stay for the time being. With the help of a librarian, a student photographer and other close friends, Merry might just figure out who the guilty party is. Loved the behind-the-scenes sneaking around, what it must be like to film a TV show and the expectation of seeing spirits. Liked trying to figure out who was an actor and who was actually a genuine psychic. Would have liked to have seen or sensed more than what was offered paranormally during the storyline. Having a spirit assisting in the case, following people around or moving things would have been cool. Loved the characters and eager to read more of Hamilton’s books. In the world of cozy or traditional mysteries the home of the protagonist is generally a cute cottage, or an antique Queen Anne. I realize that I’ve never really explained where the idea for placing the Merry Muffin Mystery series in an honest-to-goodness American castle came from. A little background: it was a few years ago. I had successfully launched the Vintage Kitchen Mysteries (Book #6, Leave It To Cleaver has just been released, June 23rd – see my website for details!) and I thought I could handle a second series. (Within a year I would have a second and third series!) I love reading mystery series, myself; I like revisiting characters I enjoy spending time with. It’s like meeting old friends every time I go to Santa Theresa and visit with the indomitable Kinsey Millhone, her feisty landlord, Henry, and hilarious friend-slash-bully-in-chief Rosie. So, I wanted to create another series, another ‘place’ in space and time. I had recently had an idea that just popped into my mind; what would I do if I inherited a castle? Seems obvious; move to the castle, right? But I realized there was much more to it than just moving there. A building like that would require a whole lot of money thrown at it routinely! And for a city girl (the idea was starting to take shape, and the protagonist, Merry Wynter, was born!) who had been involved in the fashion industry, living in a huge castle near a small town in western New York State was not a natural fit. But I needed more of a reason she couldn’t just sell Wynter Castle and take the cash. There were problems at the castle that required her presence and her commitment to fixing it up, then. And thus was born Wynter Castle, the quirky, isolated town of Autumn Vale, and the cast of kooky characters, as well as the family mystery of why Merry didn’t know her great uncle. Added to that was the mystery of how and why great uncle Melvyn Wynter died and why someone kept digging huge holes on her property, making the castle unsellable! It was like all these little pieces of the puzzle – what makes up the Merry Muffin Mystery series – were just floating in the ether, waiting for the series to cling to. But I know much better than that. I think once the castle idea came to me, the rest began to take root and grow in the rich soil it gave me because it was the right idea at the right time. Trust me, I’ve had lots of ideas that came to nothing, and I think that was because they weren’t right for me, or they would have taken root. And that’s how a series was born! 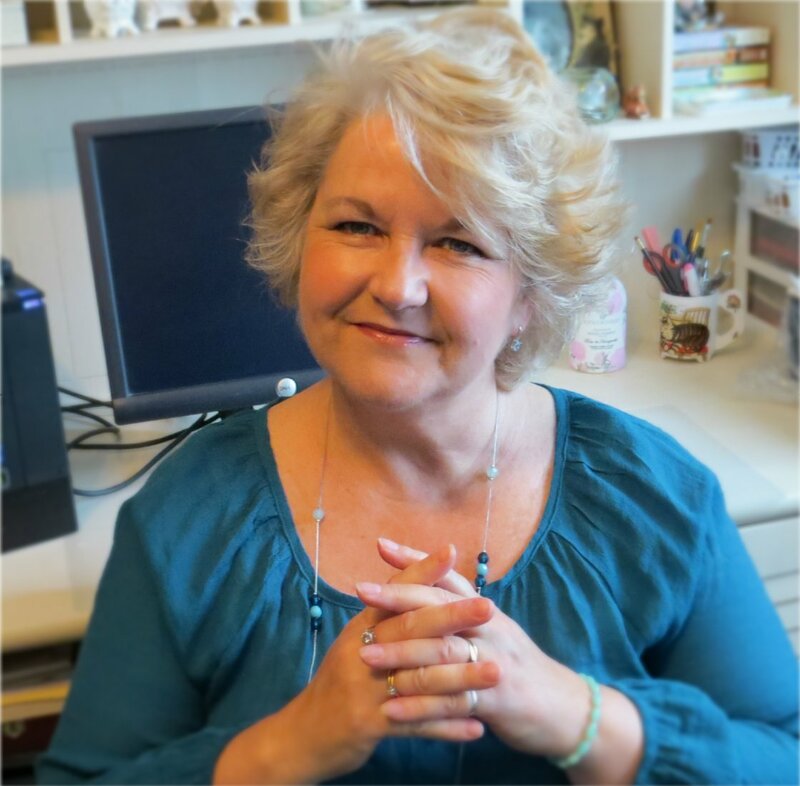 Victoria Hamilton is the national bestselling author of two bestselling series, the Vintage Kitchen Mysteries and Merry Muffin Mysteries. She is also the bestselling author of Regency and historical romance as Donna Lea Simpson. I love classical music, but honestly I know very little about it. Merry Wynter, the main character of the Merry Muffin Mystery series, knows a lot more, not because she grew up listening to it, but because her late husband and best friend/mentor Pish Lincoln introduced her to so much. She knows a fair bit about classical music, and is starting to understand opera. And so it is that each Merry Muffin novel has a bit of a soundtrack to go with it. In Bran New Death, (Book 1) when Merry first sees her magnificent inheritance, Wynter Castle, she stands in the great hall and hears the haunting strains of Clair de Lune by Claude Debussy, the piece to which she walked down the aisle in a castle wedding with her late husband. When she comes home one day and hears Erik Satie’s deeply romantic piano piece Gymnopédie No. 1, she is overwhelmed with memories of making love with him on a rainy New York Sunday just before he died. This shifts as Aaron Copland’s Hoedown from Rodeo comes on the music system and she does a wild jig with her friends. Even the enigmatic and sometimes dour sheriff Virgil Grace is drawn into the dance. Copland is again featured in Death of an English Muffin. Merry hears in her head the strains of Appalachian Spring as she ventures out into the woods on her inherited land in upstate New York. In this book there is a shift, somewhat, from memories of her beloved late husband to thoughts of what this land and Wynter Castle mean to her, and how she has been so closed off from living life until coming here. 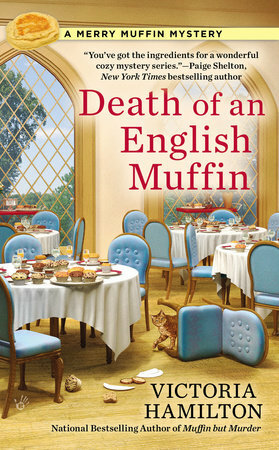 And I have a confession; Death of an English Muffin also features opera, Mozart’s Magic Flute. No, don’t cringe! I know opera is not everyone’s cup of tea. I’m not much of an opera buff, but having listened to more and more as I researched this book, I have to say… opera rocks! The Queen of the Night’s aria as sung by Diana Damrau sends shivers down my spine. This is all kind of funny, because I’m more of a Joni Mitchell/James Taylor fan than anything. And yet… and yet. There is so much out there to hear and experience, and among those things, classical music and opera deepens my understanding of what it is to be human. It’s what makes us important as a species. No money can replace art, and wealth is of little lasting value compared to it. We live in a glorious age to be exploring classical music and opera, I must say. Because of the internet we have access to the world’s best orchestras and opera companies. All of these pieces can be listened to on YouTube, and I have, on occasion, thought of posting on Facebook a kind of playlist of sorts for each Merry Muffin Mystery. Take a moment and find them; listen, if you don’t already. Many of you have a far deeper knowledge than I of these composers, but I feel that being at the beginning of a journey of exploration is a glorious thing. Now… I’ll be writing Merry Muffin Mysteries Book 4 soon… what classical pieces shall I incorporate? Do you have any suggestions? Any favorites?